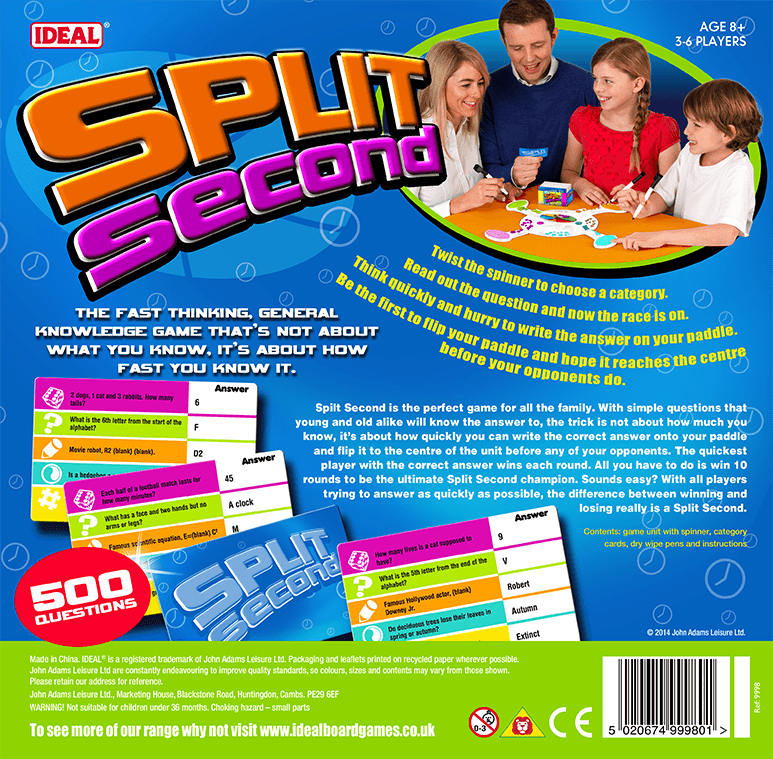 Spilt Second is the perfect game for all the family. 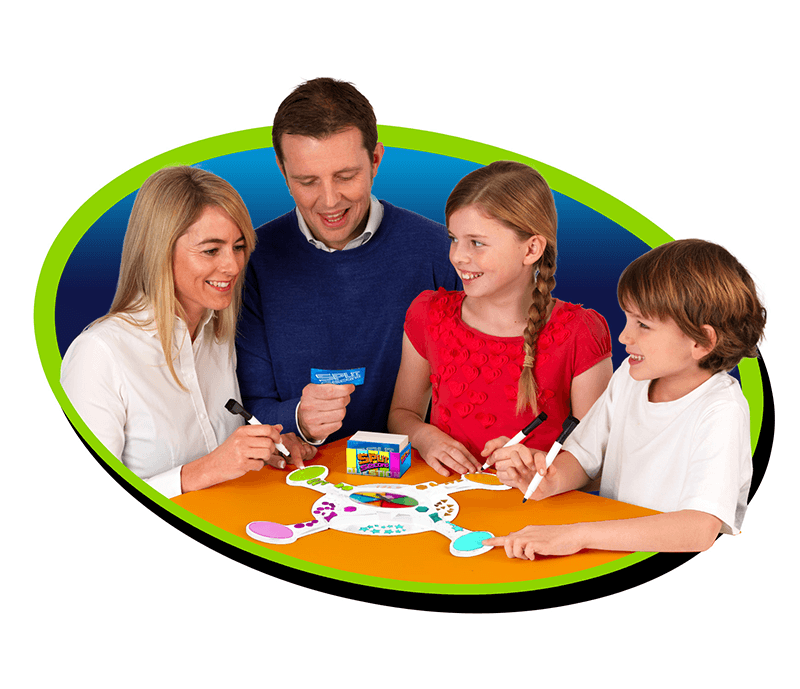 With simple questions that young and old alike will know the answer to, the trick is not about how much you know, it’s about how quickly you can write the correct answer onto your paddle and flip it to the centre of the unit before any of your opponents. The quickest player with the correct answer wins each round. 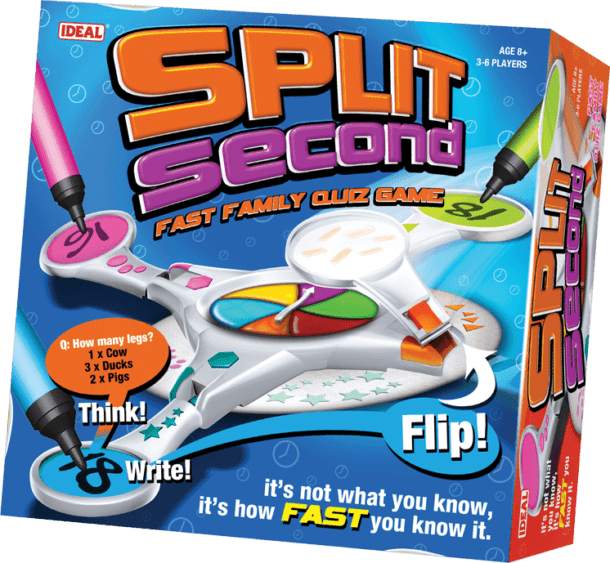 All you have to do is win 10 rounds to be the ultimate Spilt Second champion. 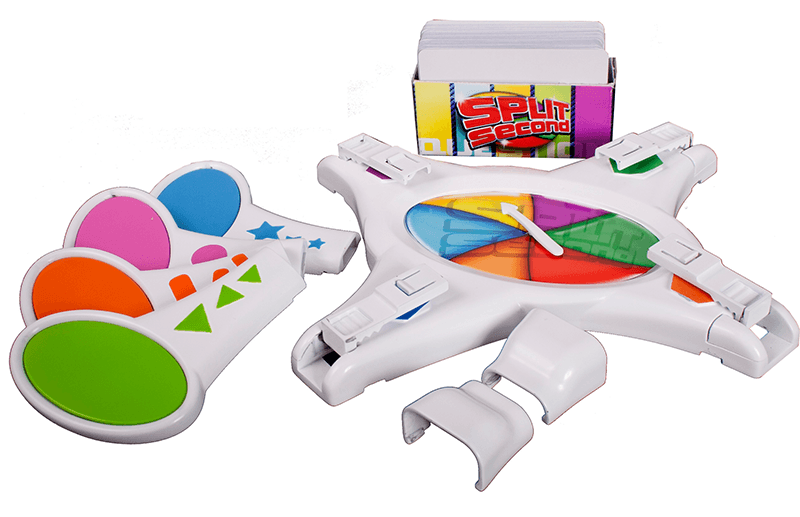 Sounds easy? With all players trying to answer as quickly as possible, the difference between winning and losing really is a Spilt Second.